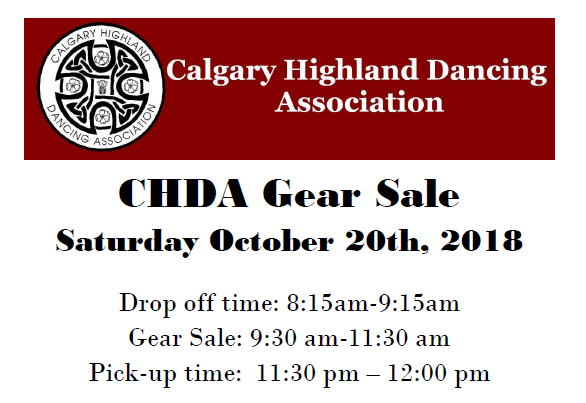 CHDA Gear Sale Fall 2018. Calgary Highland Dancing Association. This sale is open to the public. You are not required to be a CHDA member to sell or buy items. All unsold costumes must be picked up on time. All costumes must be laundered, labeled with your name, phone number and price (use selling tags) before they arrive at the sale. Selling sheet must be filled in completely.